Turkey burgers are a summer favourite in our family, a couple of years ago we had a huge BBQ party at my Mother's and we spent the most pleasant carefree afternoon beforehand making stacks of burgers together in the kitchen. It's always a delight to serve up homemade treats to guests but those burgers that we made together adding a dash of this and that from the overflowing pantry were even more special. Cooking together creates such cherished memories and the great benefit of making the burgers yourself is that you can control exactly what goes into them. 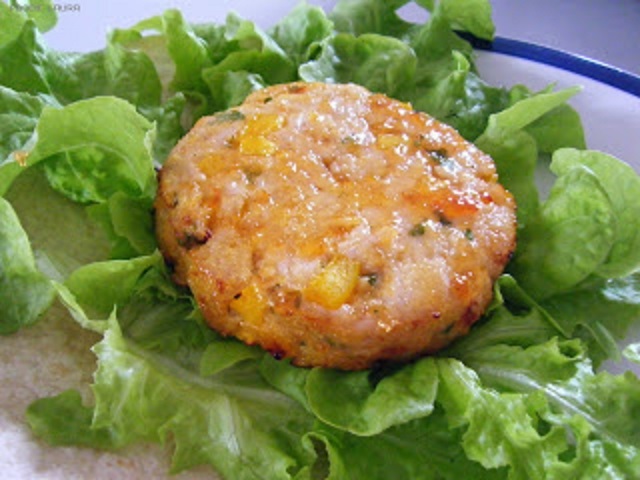 These sweet chilli turkey burgers are lean and fresh and contain very little salt. Making the burgers is as much fun as eating them so why not get the family involved and come up with your own variations of turkey burger. 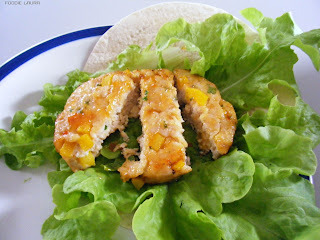 These sweet chilli turkey burgers are perfect for summer BBQs and can be prepared from scratch in less than 30 minutes. If we don't get any BBQ weather you can still grill them and enjoy sweet chilli turkey burgers indoors. Put all of the ingredients into a bowl and mix them together, it's best to work with the turkey at room temperature or it is too cold for little hands. Usually when I make burgers I add an egg as a binding agent but the sweet chilli sauce does the job in this case and if you add an egg the mix is too wet. I use a burger press to shape the burgers evenly but they can easily be formed freehand. Take a small fist sized ball of mixture and flatten it to burger shape of about 2cm in thickness with the heel of your hand. The pressure of the burger press packs the meat tightly and it's less likely to crumble, if you do shape by hand let the burgers firm up in the fridge before cooking. A little tip to avoid the burnt on the outside and raw in the middle bbq fiasco; press your thumb into the centre of the burger to create a dimple, this helps the heat spread more evenly through the burger and enables the thick middle to cook. Grill the burgers for 5 minutes on each side. Before flipping the burgers brush with chilli sauce for a sweet glazed finish. 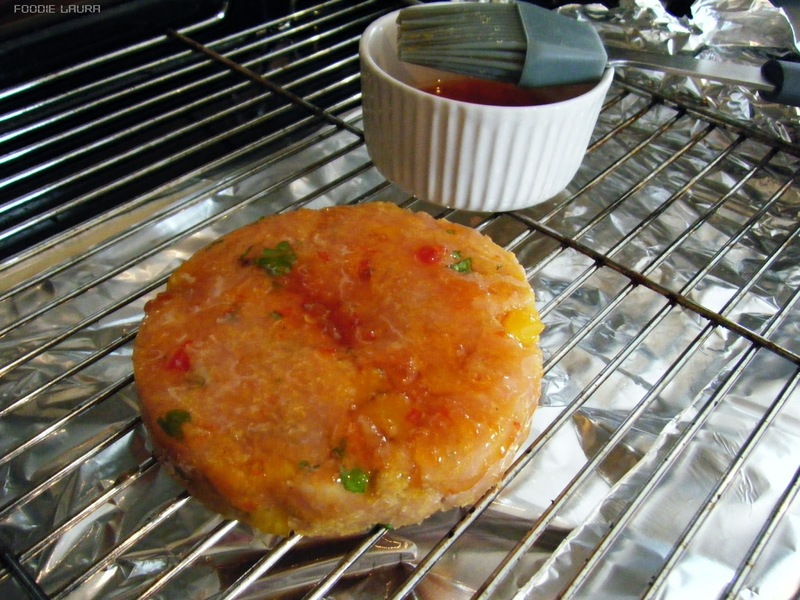 Serve like a traditional burger on a bun with salad or cut into strips and serve in a pita or tortilla. 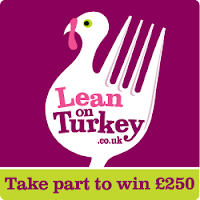 This post is an entry for BritMums’ Summer Turkey Recipe Challenge with Lean on Turkey it was originally posted without the glaze just after that lovely burger making afternoon in 2011.